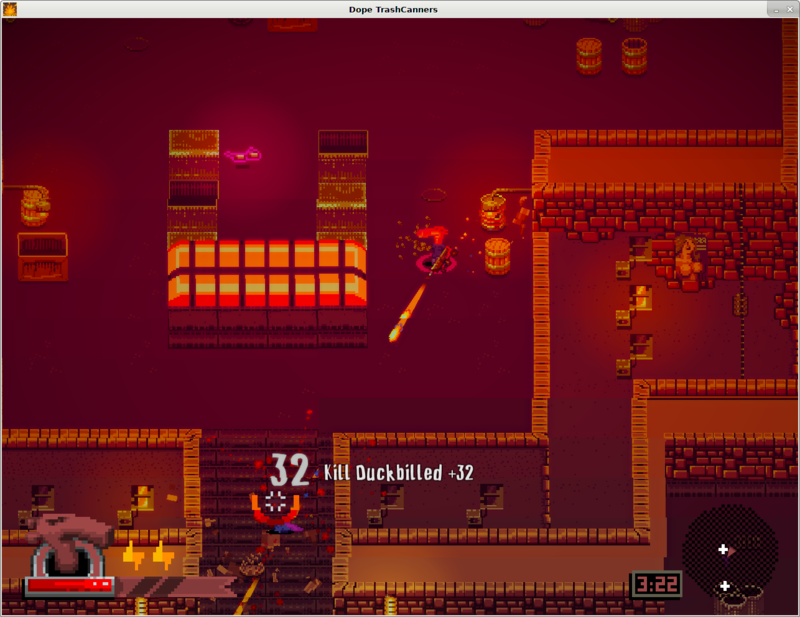 Dope TrashCanners [itch.io] has just arrived on Linux and after trying it out I'm really quite impressed. The gameplay is simple, but the twist on death is quite amusing. You have one simple aim: Kill them most people. 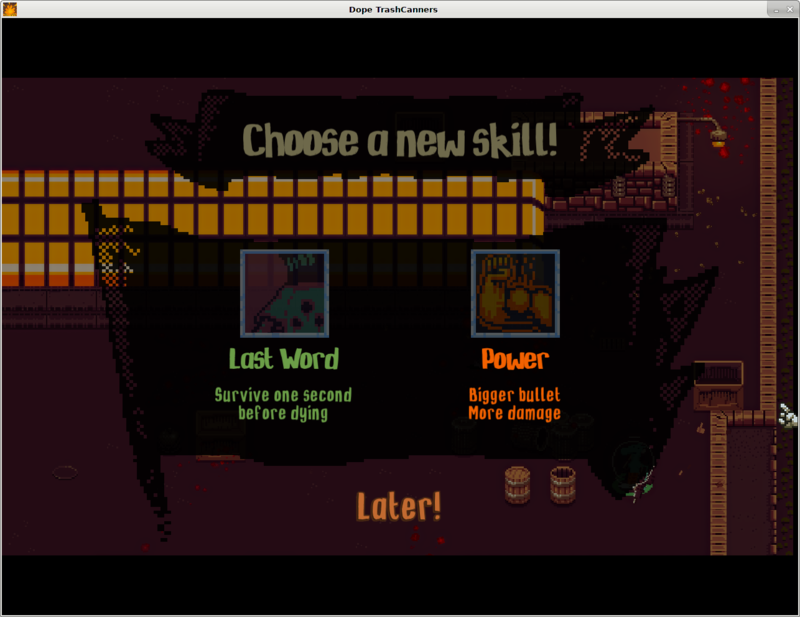 That sounds pretty normal, but the kick is that when you die, you get to pick a new skill. The skills you pick are really well done too. You can make yourself smaller, make your bullets bigger, make your bullets bounce and so on. It makes the difficulty increase as the game goes on which makes games rather interesting. I've found it to be pretty fun so far and it could be an interesting game for a livestream or a tournament since it's free. Note: To host a lobby, they say you need port "7777" to be open. - Online multiplayer game, up to 4 players (with or without bots). - Deathmatch or Team Deathmatch, on 6 various maps. - 30 different skills, you can get by dying. - 6 primary weapons, 4 secondary weapons and 8 powerups, to be even stronger. - Crates and Bushes, to protect you, to hide, or to become vicious. - 13 editable game parameters, to configure its game as we want. It's available right now on itch.io to download, but I highly recommend using the itch app. Huh. So the more you die, the more powerful you get as compensation? Interesting. Sort of a self-balancing mechanism. I'm not particularly interested in the game itself, but that does sound like a neat twist. It's really fun, and as i follow the game since mid-2015 (http://forum.canardpc.com/threads/100902-Jeu-Disponible%21-Dope-TrashCanners-Ouai-gros), it gives some special love feeling to see it's actually a game now. And it's free, it's well worth your after-lunch break, and probably more.